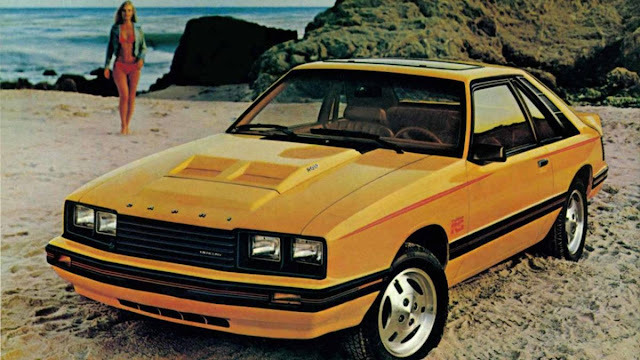 Launched for the 1979 model year, the early period for the Fox-body Ford Mustang was a pale comparison to its end when Vanilla Ice boasted about his convertible on "Rollin in My 5.0." The base model for 1980 came with a 2.3-liter four-cylinder producing a less-than-exciting 88 horsepower and 119 pound-feet of torque. Acceleration could best be described as lackadaisical. The styling wasn't very exciting either, particularly the notchback. The three-box shape looked like a boring economy car, rather than something ready to melt the rear tires at a moment's notice. At this point, the Capri was Mercury's version of the Mustang, sharing the same platform and engine options. So why does it deserve mention here after just seeing the 'Stang? Just look at it. You could have got this turbocharged 2.3-liter mill in the Mustang, too, but Mercury decided to really dress it up by adding a bulging hood and body-color exterior accents. The result looks pretty good for the period until you find out this thing only makes 117 hp and 135 lb-ft. This machine is a real sheep in wolf's clothing. Ford didn't give up in the turbo 2.3, though. Later, the Special Vehicle Operations team got ahold of it and extensive tuning pushed the output as high as 205 hp in the Mustang SVO. The 290-hp 1973 Pontiac Firebird Trans Am SD-455 was the last great muscle cars of the 1970s before the malaise firmly took hold. 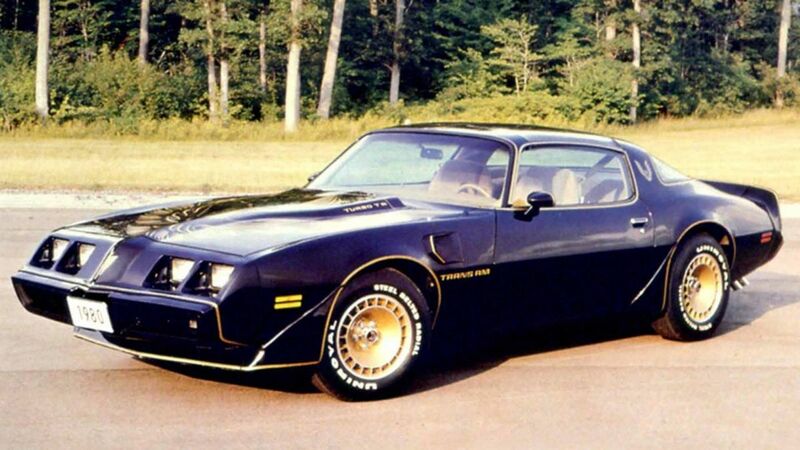 Pontiac tried to kickstart the segment again with the Trans-Am Turbo available for the 1980 and '81 model years. The company took its existing 4.9-liter (301-cubic-inch) V8 and added a turbocharger to boost performance. A result was a respectable-for-the-time 210 hp in 1980 and dropped to 200 hp for 1981. 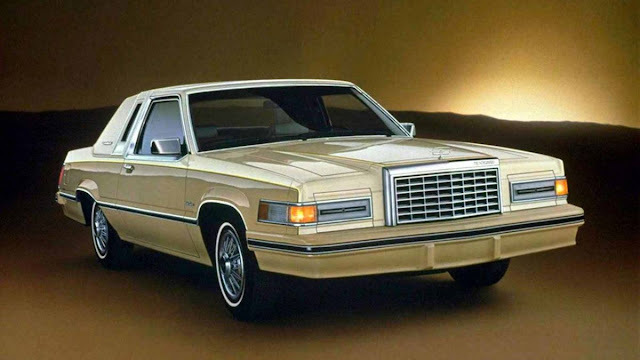 Despite General Motors selling turbocharged models as far back as the 1960s, tuning the technology was still a bit of a black art in the 1980s. Reliability issues plagued the powerplant. 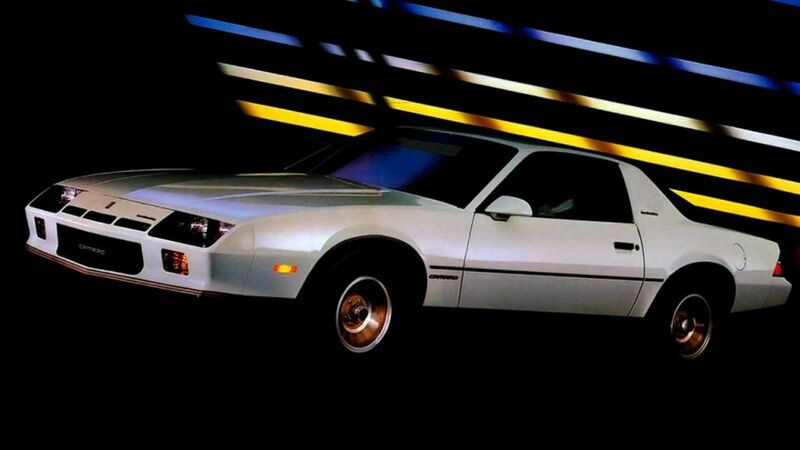 When Pontiac introduced the third-gen Firebird in 1982, the company dropped the turbo mill from the available offerings. In an interesting postscript, Pontiac eventually revisited the idea of a turbocharged Trans Am for the one-year-only 1989 20th Anniversary Edition. This limited run of 1,555 cars used a version of the Buick Grand National's 3.8-liter turbocharged V6 with 250 hp – although the factory allegedly underrated this figure. The story of the third-generation Chevy Camaro closely follows the Fox-body Ford Mustang because their performance started bad but got much better by the end of the model run. 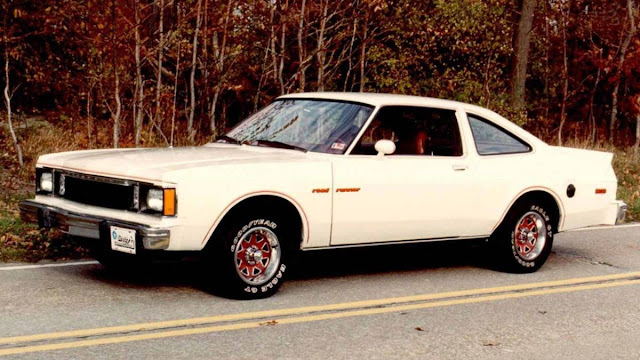 For example, when Chevy launched the third-gen Camaro for the 1982 model year, its base engine was a 2.5-liter four-cylinder producing 90 hp and 132 lb-ft. This was a little more than the least expensive 'Stang but still didn't provide a rousing drive. Close your eyes and picture a Dodge Challenger. Depending your age, maybe your mind goes Kowalski driving a white one in the movie Vanishing Point or perhaps a modern SRT Demon burning up a drag strip. We doubt anyone contemplates the second-gen model and for very good reason. The original Challenger bowed out in 1974. In 1978, the company decided to revive the name in the worst way possible. 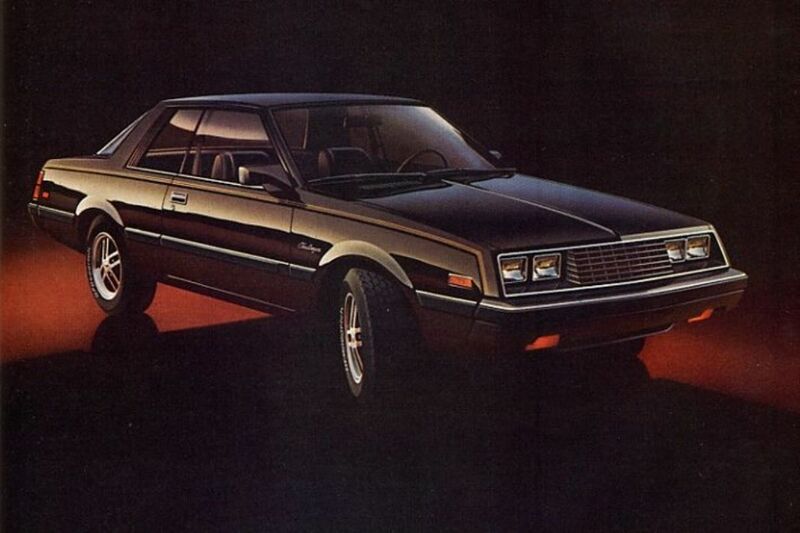 Chrysler used its close relationship with Mitsubishi and slapped the Dodge logo onto a Galant coupe. Things got worse from there. Initially the available engines were 1.6- or 2.6-liter four-cylinder engines. Eventually, only the larger powerplant remained but with only 100 hp and 137 lb-ft of torque by the time the Challenger died again for the 1983 model year. Good riddance to a terrible idea. In another example of Chrysler reviving an iconic muscle car name in a terrible way, here's the 1980 Plymouth Volare Road Runner. For the model's final year, its 5.2-liter with a two-barrel carb produced just 120 hp and 245 lb-ft, and the four-barrel upped the output to 155 hp and 240 lb-ft. These were very dark days for automotive performance. 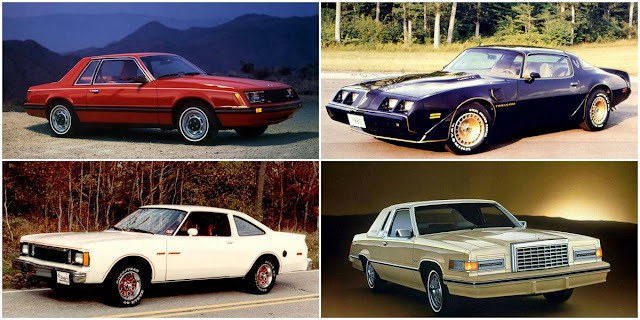 The Ford Thunderbird always occupied the more luxurious end of the muscle car spectrum, but things reached a true nadir for the short-lived generation from 1980 to 1982. The coupe was the size of a boat and packed a mere 120 hp and 205 lb-ft from its 4.7-liter V8. There's nothing muscular to be found here. By the mid-1980s, the muscle car segment was starting to re-emerge after roughly a decade in the doldrums. 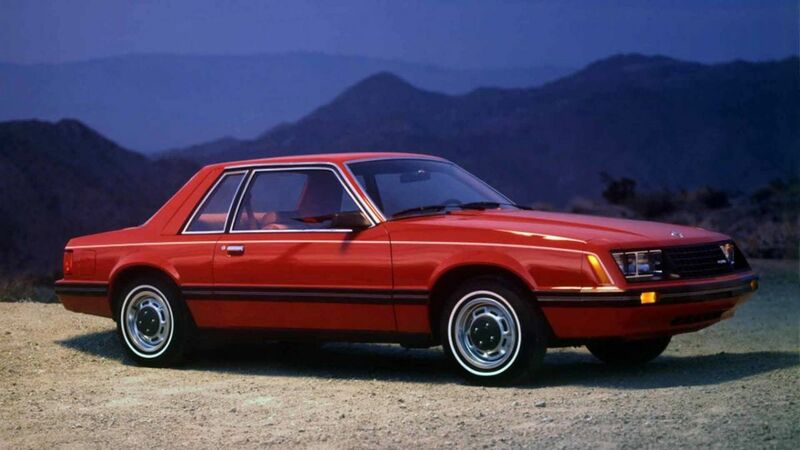 Models like the Cougar XR7 pointed the way forward with its 145-hp turbo four-cylinder. 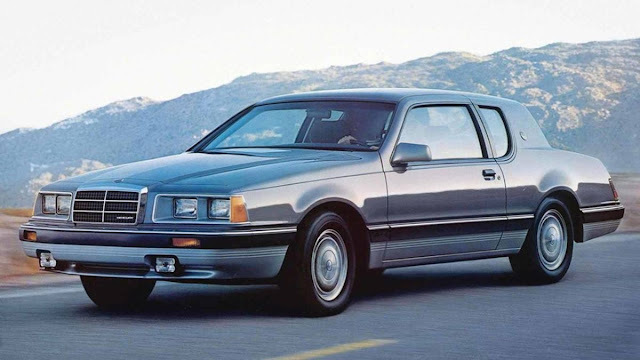 While horrible by modern standards, the figure was still quite a bit better than the 117 hp that the Mercury Capri RS Turbo had just a few years prior. With its grandma-chic styling, the Cougar was boring looking even by the standards of the time, though. It was a sign of forward progress, but this Mercury was still a fairly awful muscle machine.